January 16, 2018 | 2 to 3:30 p.m.
Is kneeling during the national anthem a show of disrespect or a display of patriotism? Is extending a welcome to immigrants and refugees central to American ideals or a threat to them? Is the Confederate flag a symbol of heritage or racism? The social, cultural and political fabric of the country is increasingly torn by uncivil debates about the essence of American values. 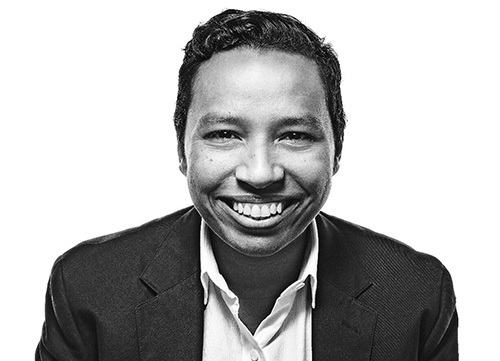 Lydia Polgreen, editor-in-chief of HuffPost and 2009 Livingston Award winner, will discuss the vital role of journalism and a free press in a thriving democracy and its responsibility in the current populist moment. Fresh off the Listen to America road trip, a 25-city bus tour to engage with people and communities that feel left out of dominant national narratives, Polgreen will address the legacy and current relevance of the Rev. Dr. Martin Luther King Jr. and engage the audience in a conversation about voice, power and participation in civil society. Polgreen was named editor-in-chief of HuffPost in December 2016 after spending nearly 15 years at The New York Times. There she led an initiative to expand its audience outside the United States, with an initial focus on Latin America. Previously, she was Deputy International Editor, South Africa bureau chief, correspondent for the New Delhi bureau and chief of the West Africa bureau. Before joining The Times, Polgreen was a reporter in Florida and New York state. She began her career as assistant editor and business manager for The Washington (D.C.) Monthly. Polgreen was a 2006 recipient of the George Polk Award for foreign reporting. She received the 2009 Livingston Award for international reporting for her series, “The Spoils,” an account of how mineral wealth brought misery and exploitation to much of Africa. In 2007, she was named a Young Global Leader by the World Economic Forum. This is a 2018 Annual U-M Reverend Dr. Martin Luther King Jr. Symposium event. Co-sponsored by the Department of History, Department of American Culture and Department of English Language and Literature.